It’s tough to drink enough water each day. Whether you need to drink eight, 10 or 12 glasses, it can feel like a never-ending battle to keep up. Even worse, some water tastes unpleasant. Whether your water tastes like minerals or has an unusual aftertaste, it can make drinking water even more difficult. If you are concerned with the quality of your water, you may not even want to drink glass-after-glass from your tap. For a pure, cost-effective option, a Culligan Water filter can give you unlimited access to safe, clean water. This complete review will give you all the information you need to understand the pros and cons of Culligan Water filter systems. We will also compare this brand with other competitors in order to find the best water filter for you. 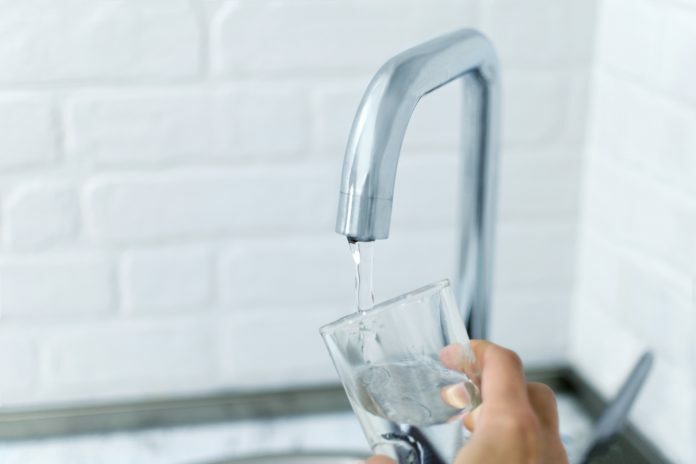 There are lots of features to consider when purchasing a water filter, so take a look at some of these important factors as well. 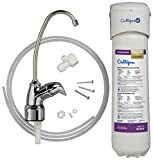 What Is a Culligan Water Filter? Whether you have used a water filter before or not, there are some important factors to consider. Not all filters are built the same, so you’ll want to know what details to compare when looking for the right filter. There are four basic types of filtration systems to consider. Each one has their pros and cons, but they all work basically the same way. First, the easiest water filter is a pitcher. Culligan and other brands offer pitchers with built-in filters. Simply fill the pitcher with water, and you have excellent drinking water. It’s the least expensive way to begin drinking clean water immediately. 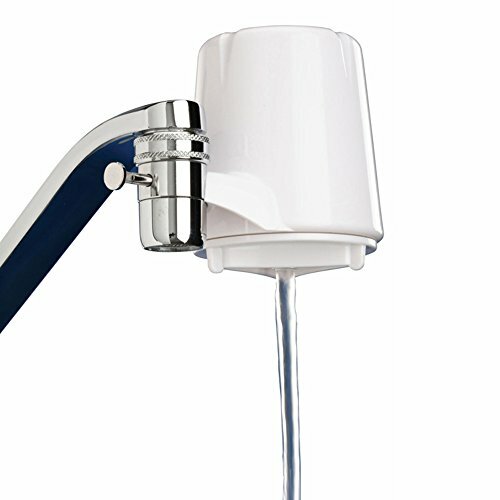 You can also purchase a water filter for your faucet spout. These attachable filters make it easy to quickly switch your streaming water over to filtered. The faucet-style filters will last longer than the pitcher-style filters, and they will give you better access to clean water for drinking and even washing. A more popular system is the drinking water system. This system requires some installation and fits under your sink. A drinking water system comes with larger filters and a dedicated filtered spout. 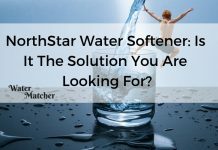 It’s a more expensive option, but the filters won’t need to be changed as frequently, and it gives you the option of a reverse osmosis system. The last filtration system option is a full-house filter. This requires installation expertise and may not be available for your home. Depending on your plumbing situation, it can be easy or nearly impossible to have a full-house filter. These filters attach directly to your main water line. That way, all the water in your house will be filtered. It’s a great solution for easy-to-access drinking water through multiple taps, but it can be expensive and difficult to install. Determine your situation, and decide which system is right for you. This review will focus on the Culligan drinking water system, with a dedicated spout. Carbon filters are one of the more popular methods of water filtration. Activated carbon can remove odors, unusual tastes and many particles from your water. These filters can also remove chlorine, lead, mercury and plenty of other dangerous chemicals. It isn’t as effective at removing all particles from your water as the reverse osmosis system, but there are studies revealing you may not want to remove too many particles from your water for your health. Reverse osmosis could actually be removing too many minerals from your water. Even a strong activated carbon filter could have some of the same effects. In order to know the proper filter system for your household, it’s highly recommended that you have your water tested. Companies like Culligan Water can perform these tests for you. That way, rather than relying on taste and smell, you’ll have solid data to see exactly what substances are in your water. Reverse osmosis is a water filtration process that is extremely effective at removing all organisms and particles from the water. It’s a popular way to ensure your water is incredibly clear of contaminants. However, there are cases when reverse osmosis is too effective for a filtration system. There are many minerals and natural-occurring elements in drinking water that are essential for your body. 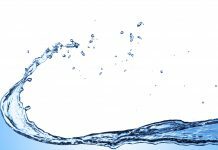 Reverse osmosis filtration can remove too much calcium and magnesium, which, according to the World Health Organization, can lead to deficiencies. Be careful when choosing certain filtration systems and be sure to contact a professional to see what filtration system is best for you and your water. For this reason, this guide will look at some more popular and still extremely effective activated carbon water filtration systems by Culligan. Culligan Water is a bestselling brand that started in 1936. 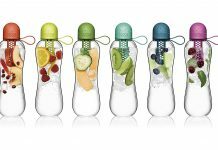 The company is best known for bottled waters and water delivery but continues to expand and use innovative ways to deliver water. To use less plastic and provide more convenient options, Culligan Water has an extensive line of water filtration systems. The system being reviewed is the Culligan US-EZ-4 Undersink Drinking Water Filtration System. This water filter offers up to six months of clean, purified drinking water. It’s reasonably priced, at only seventy five dollars and ninety five cents for the entire system. With this system, you’ll have a dedicated faucet to access water filtered through Culligan’s premium filter. The premium filter is rated for up to 500 gallons, and the spout flows at 0.5 gallons-per-minute. There is a moderate installation process, which can be difficult for some homeowners. This filter has a 0.5-micron rating and can remove lead, sediment, mercury, bad tastes and odors from your water. If you’re looking for the best filter available, without using reverse osmosis, the premium Culligan Water filter is an excellent choice. Many customers feel the system is easy to install, and they love the inexpensive replacement filters. However, many customers needed to purchase additional fittings, as the fitting included in the kit won’t work for all water line setups. It’s only a single-stage filtration system, so it doesn’t filter at the same levels as reverse osmosis or three-stage filtration systems. There are a wide variety of filters and filtrations systems on the market. It’s difficult to choose which filter type is most cost-effective. You can easily spend thousands of dollars on a high-quality, reverse osmosis water filter. Pitcher filters, on the other hand, can be as little as twenty dollars. The under-sink filtration systems on this list are mid-priced and range in price from forty five dollars to seventy five dollars and ninety five cents. Each system is slightly different, so take each option into account before choosing the best water filter for your drinking water needs. Not all filters are equally effective, but if you aren’t concerned with chemicals and heavy metals, and only want to purify your water’s taste and smell, less expensive filters will work perfectly for you. The Aquasana filtration system has a similar installation process as the Culligan Water system. Aquasana has three distinct models of water filters, and you can purchase a filter with one, two or three stages. More stages give the filter the opportunity to clear more particles from your water; however, even the single filter variation is effective for reducing lead, asbestos, PFOA and PFOS. 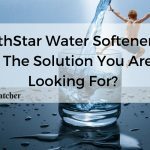 It’s the most affordable filtration system on this list and provides clean-tasting water for almost half the cost of the Culligan Water system. However, the Aquasana one-stage filter doesn’t remove as many impurities from your water. It also lacks the three varieties of filters that are available for the Culligan Water model. If you want a cost-effective way to remove most of the dangerous chemicals and unpleasant flavors in your water, this is a great choice. However, many customers reported slow water flow, with little pressure. This unique system doesn’t use its own dedicated faucet but instead is connected to your main faucet line. It’s easier to install and offers a higher rate of flow for your filtered water needs. This affordable and high-efficiency filter uses a solid block of active carbon, which is more effective and efficient than granular activated carbon. This powerful filter lasts up to 13,000 gallons, but it only comes with a one-year warranty. 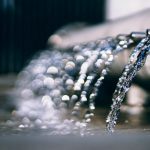 It’s an excellent way to remove most of the lead, mercury and other dangerous heavy metals from your water, while also removing the poor tastes and smells. It still takes some adjustments to install but is much easier than the other options. While the filter is larger, it can be installed in a number of different ways in order to make the most of your under-the-sink space. Most customers love the high-powered, highly efficient filter on their main faucet. However, some customers feel the filter doesn’t last as long as it states. 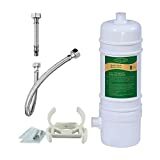 The Hansing High Flow water filter should last as long as three years, but some customers needed to replace theirs in as little as three months. Overall, it’s a highly rated water filter with excellent reviews. It’s a great option if you don’t want an additional faucet or the inconvenience of installing one. As with any purchase, there are several pros and cons to consider before buying the Culligan Water filtration system. Take a look at each of these and determine the best choice for your filtered water needs. Culligan Water system comes from a highly regarded company and offers an impressive two-year warranty. This filtration system is highly effective at removing dangerous chemicals, unpleasant sediment and odd odors and tastes. It’s not too difficult to install, and it is very easy to replace the filters. The spout is a convenient way to use your filter only when you need it, unlike other system filters, like the Hansing system. Culligan Water filters are affordable and easy to replace. If you need an even cheaper option, consider the EZ-1 or EZ-3. 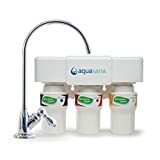 This water filtration system is far more difficult to install than a faucet-mounted variety and generally more expensive. Although the filters are easy to replace, they don’t last as long as other filter brands. It’s mounted under your sink, you’ll have to buy additional under-sink systems in order to use it in other rooms of your house. The rate of flow is good for a small spout but isn’t as effective as your main faucet. If you truly want to get rid of all contaminants in your water, this filter won’t work as effectively as a reverse osmosis design. These options filter out less, so they are more cost-effective. If you are sure your water is already chemical and heavy metal free, but you want to manage the odor and taste, consider a less expensive filter. This system has a great rate of flow, with 0.5 gallons-per-minute and 60 psi. For a convenient and cost-effective filter system, the Culligan Water filtration system receives 4.3 out of 5 stars. It’s a great, inexpensive way to have plenty of drinking water, without clogging your filter while using water for washing dishes or other uses. Once installed, the system is very easy to use, monitor and replace the filters. If you find the water is being filtered more than you need, you can easily purchase a smaller filter for the same filtration system. Although some customers needed to buy additional fittings, the system is overall easy to install. Once you have a great system, it’ll be easier to drink your recommended amount of water each day. The Culligan Water Filter system comes from a highly regarded company so you are ensured of its quality. Also, they offer an impressive 2-year warranty. Though it might be a little difficult to install compared to a faucet-mounted variety, and generally more expensive.